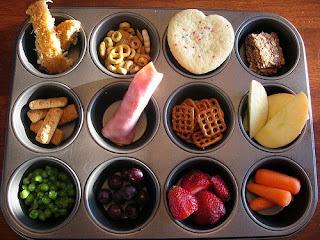 Muffin Tin Monday is a weekly blog gathering (here at HCO) of mommies who serve one meal a week (or more:) ) in a muffin tin! 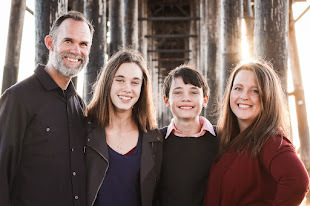 We post submissions every Monday and enjoy sharing and encouraging each other as parents. To submit your muffin tin, just leave me a comment or email with your blog post's URL. If you don't have a blog, post it to the Muffin Tin Monday Flickr Group. We try and do themes several times a month - so come join us And remember, as always, you can be as basic or as detailed as you want! 1. The old "Ask and you shall recieve" method - You want string cheese, crackers and turkey? You got it! Ironically we ended up giving them seconds off our plates about 10 minutes after they said they were "full". 2. When I said "You can be as basic as you want...": this might be what I meant! 3. Some days are better than others - Every muffin tin meal can't be great, right? 4. Mama's sick - Since Wednesday night...Need I say more? Please, I beg of you...out do me today! Show me all of your Muffin Tins, on this fine Monday! Can I Taste It Now? 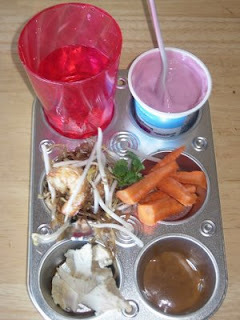 It was nice that daddy was able to help Maddie make her Muffin Tin lunch today! I have to say I am at a loss for next week's lunch though! 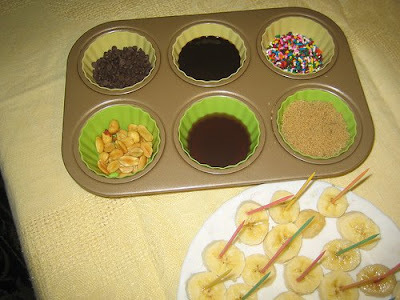 I am definitely going to steal the monkey bites idea for the near future! Maddie absolutely LOVES bananas! She calls her Nana Nana Banana! I've not shared these with you before, when we've done them but this week we made it super fun and took it to the kids at school so I had to share. :)Thanks for letting me! Sooooo sorry you aren't well - you are making feel a tad guilty for skipping last week when I was not very with it - I will try harder. Here's our President's Day Tin - the kids helped come up with this one! Hope you get well VERY SOON! Im sorry you're sick. Feel better and I hope you're kiddos don't get sick! All of these tins look great! Give yourself some slack for not having a tin like you'd want...everyone deserves a little break! Love the monkey bites!! I'm sorry if this is a dumb question and if you've already answered this, but what is the purpose behind the muffin tins? Is it to be fun, to encourage eating new things, what? If you've got this posted somewhere and I didn't find it, let me know. Just curious...they do look fun! Katie, that's a great question! The purpose of Muffin Tin Lunches is truly unlimited. It's both to have fun with your child's meal and also to introduce new foods in small doses. For me personally, it's all of the above! It also gives me a opportunity to break up the lunchtime food "blahs" where sometimes I seem to serve PB and J way too much! And Muffin TIn Mondays, is just a chance for all of us who do muffin tin lunches to share our tins and encourage wach other! Here is our late entry. I love the monkey bites. 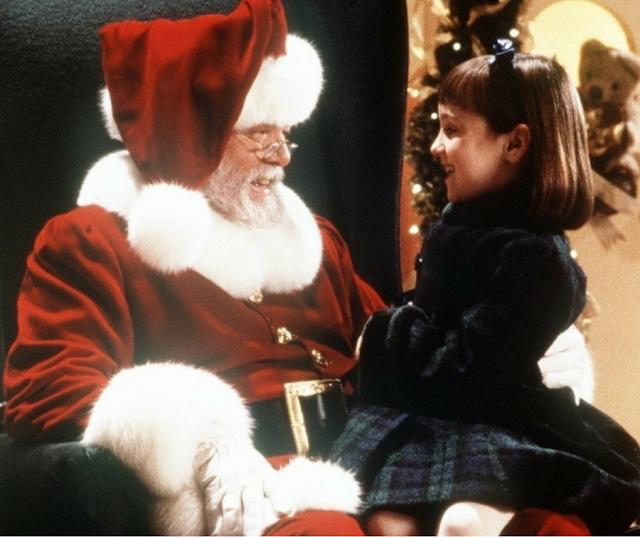 It would go perfectly with one of our favorite books called No More Cookies! Hi- I just found you today and love your blog, so many great ideas to explore and try out! I made my first (non-themed)MTM- so much fun! Come check it out! 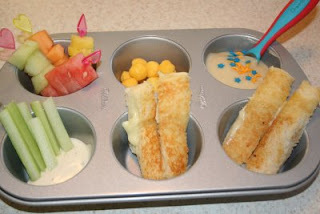 What a cute idea...lunch from muffin tins :) I'll have to think about that one!